Source: HP 17B II Financial Calculator Owner’s Manual, Corvallis, OR 1989. The best fits are were |r| = 1, or as close to 1 as we can get. If r is close to 0, the first is not good. 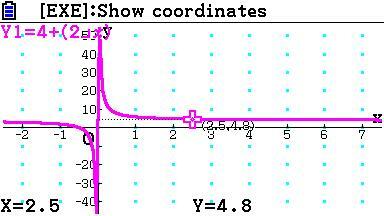 Note that the formula for correlation does not involve the slope or intercept. We can use this to our advantage. 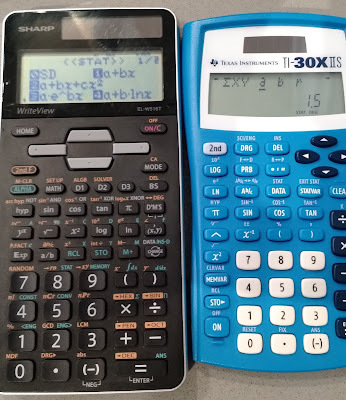 Hewlett Packard calculators has the b for the intercept and m for slope. For clarity, I will use the form Y = ITC + SLP*X. Sharp EL-W516T which offers 7 regressions. 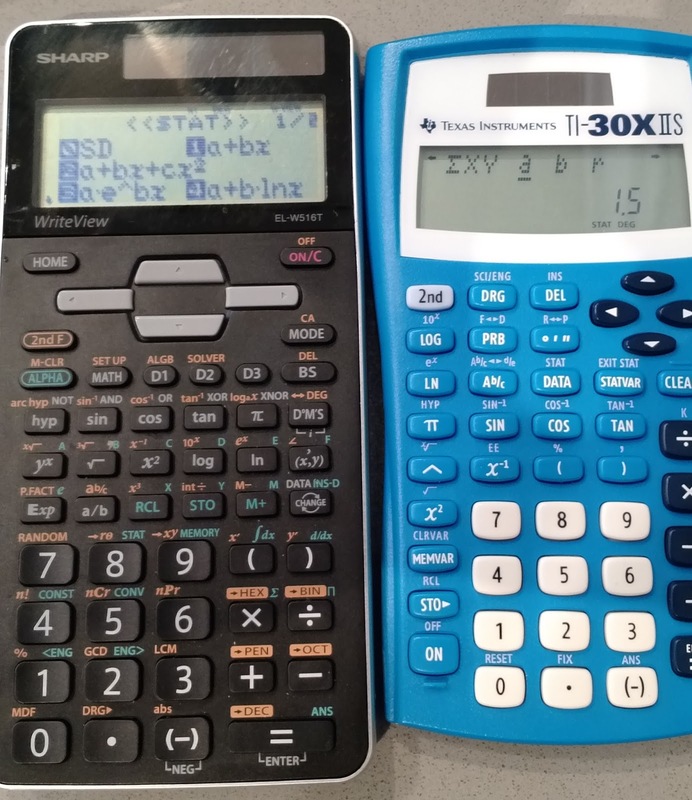 TI-30X IIS which offers just linear regression. 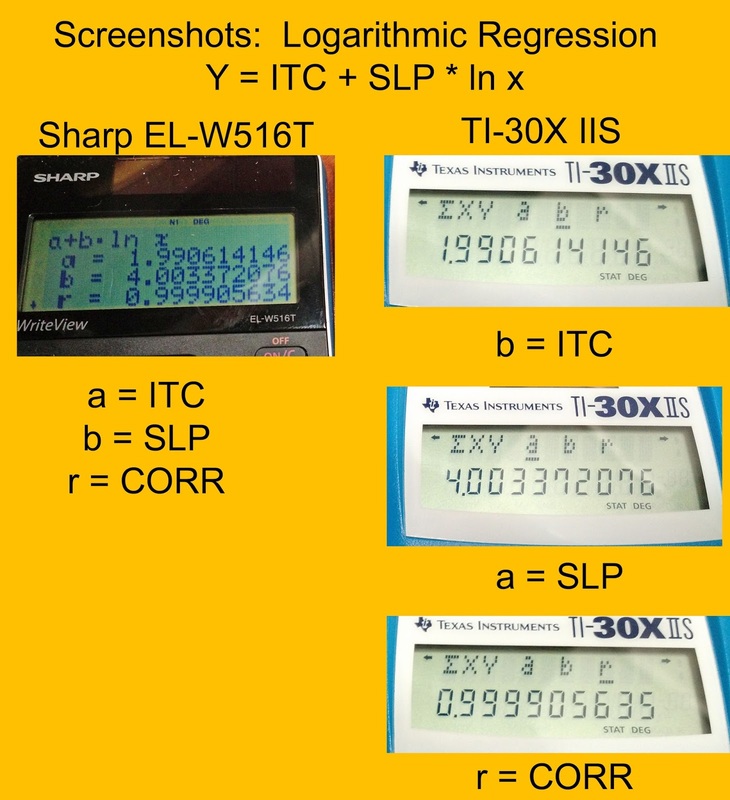 I use the TI-30X IIS to use the linearized form. Screen shots are generated from a Casio fx-CG50. 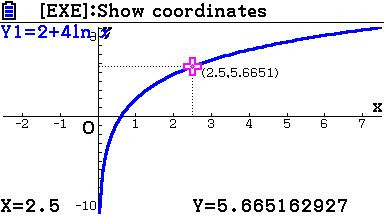 To use the linear regression mode, enter the data as such: (ln x, y). Everything else remains the same. 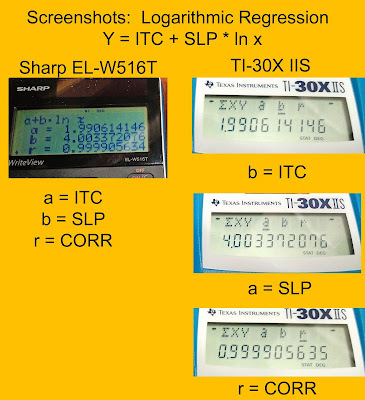 Comparing results between using the Logarithmic regression with the Sharp EL-W516T and the Linear regression with the TI-30X IIS, I get the same results. When using the linear regression mode, enter data as (1/x, y). Everything else remains. 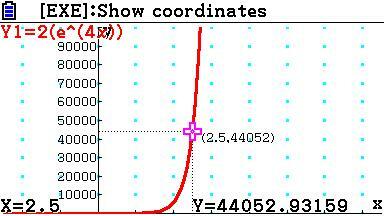 So we have the following: X = ln x, Y = ln y, ITC = ln a, SLP = b. 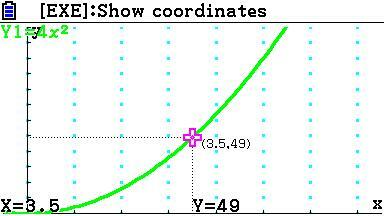 In the linear regression mode, enter data as (ln x, ln y). Also, a = e^ITC.